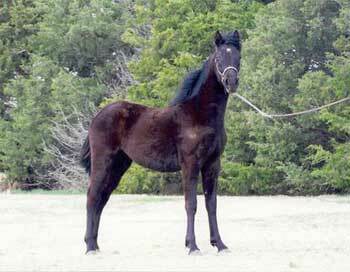 Annie is a wonderful black filly with a star. Her mane has a wavy curly look that is neat. 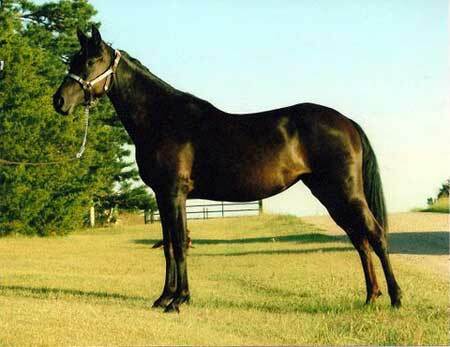 Her dam is a daughter of Cafalillie and her sire is a ½ brother to RG Stuart's Monarch, so GRM Black Annie and GRM Monarch's Black Lillie are very close bred alike. These two have potential to make a team. Black Annie has a very pretty head and wonderful trot. 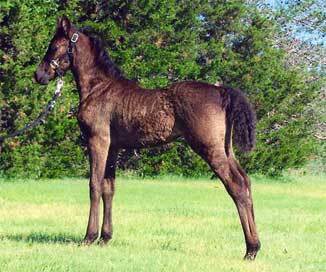 She was imprinted at birth, haltered at an early age, bathed, trailered, and is current on all shots and worming. She should mature 15.1 - 15.2 hands.